You’re getting on a boat to have fun in the sun and water. So why would you want to worry about gassing up the boat and driving while you watch your friends have fun? The SunVenture offers the best of both worlds…a private boat that our captains will drive so you can enjoy a worry-free day of fun in the sun. 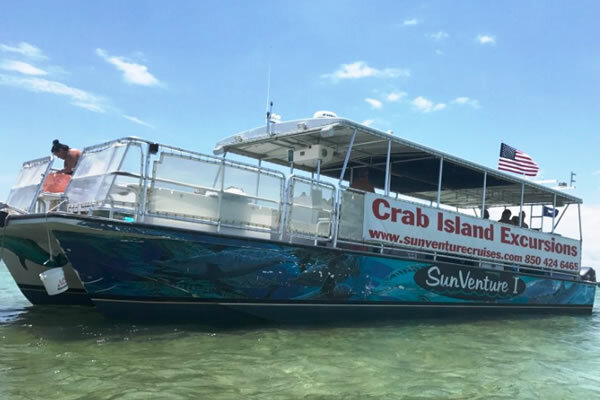 The SunVenture is a perfect Destin private cruise option for any group from 5 to 49 who want an affordable private boat experience without having to drive. Just load up your friends and tell Captain Rick where you want to go – Crab Island, dolphins, sunset, whatever! He’ll even play DJ with the SunVenture’s state-of-the-art sound system. We can even assist with food. We have scheduled ladies’ brunches and brought freshly grilled hamburgers on board to enjoy during your ‘venture’. Our schedules are extremely flexible – just call our office at 850.424.6465. The Travel Channel has just confirmed what loyal visitors and residents have known for many years. Last week, Destin Florida was voted as the #1 Family Beach, earning the popular vote over the Bahamas, Cape Cod and other beach destinations. So what makes Destin so special? This area isn’t called the crown jewel of the South for nothing. One glimpse of the panoramic view coming over the Destin Harbor is just the beginning – from the sparkling emerald green waters to the soft white sand dunes and flurry of activity. But they don’t stop there…continue on to the Beaches of South Walton and the string of beach communities down 30a for an authentic experience of culture, food, shopping and more. The family friendly activities are endless, unique and memorable. As cited by the Travel Channel, a must-do in Destin Florida beyond the beach is getting on the water, especially dolphin cruises and Crab Island. Prior to last year, you had to drive to the Destin Harbor to jump on a dolphin or Crab Island cruise which means hours of precious time lost in traffic. 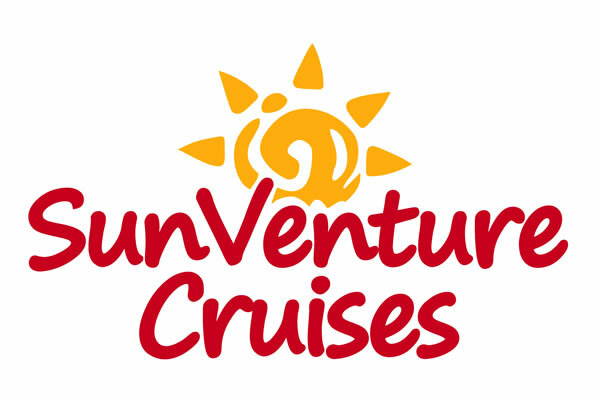 The SunVenture has received a warm welcome from the community as the first family cruise excursion docked east of the Destin Harbor so you can cruise, not drive, to top Destin Florida attractions. Docked at the Sandestin resort, the 45 foot SunVenture catamaran is the easiest and best way to cruise to see dolphins and Crab Island. SunVenture’s entertaining and knowledgeable captains will do the driving while you have fun. Relax as you enjoy a 2 hour narrated dolphin cruise to interact with sea life, learn about Destin Florida’s eco-system and cruise into a stunning sunset. We’re cruising the waters several times each week during Spring Break 2013. So whether you’re planning your Spring Break agenda or a summer beach trip, it’s worth the trip to Destin Florida and it’s worth your time to ‘venture’ aboard the SunVenture.